Any hints on how to get the home button cable to go back into the connector without causing damage to it? I can't seem to get the cable in much more than halfway into the connector before it starts to bend the cable and try to tear it. I have one spare home button assembly as that was not damaged on the broken digitizer but since I only have the one spare, any hints would be a blessing. This one connector has tried my patience more than most I dare say. For Reassemble on digitizer connector: I found when reinserting this cable that the connector must be pushed until the white lines on the connector are no longer visible. This is not an easy task but if you don't get them all the way in the digitizer may not work (that's what happened to me). Make sure to test it before applying the screen on with adhesive in the end! That was my problem, thanks! But now I broke off the Zif retaining flap from the LCD connector. It works without it but the cable connector will no doubt slide out with vibration. I may hot glue it in place. Just finished replacing a cracked screen on the wife’s iPad 4. 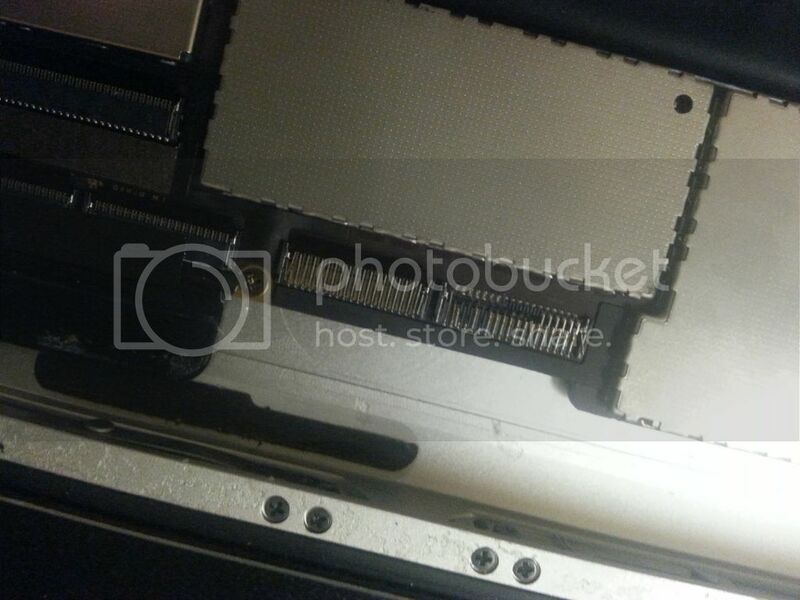 One note to make is that the digitizer and LCD flat cables must be inserted so that a small ‘line’ on the end that gets inserted into the ZIF connectors is no longer visible. I had to pull the screen off in order to correct these connections as the LCD lit up, but the digitizer didn’t recognize any touches - and it should, even with the protective plastic over the glass. Otherwise a somewhat frustrating, yet satisfying job done! I had this same issue, but I cant seem to get mine to go in any farther. Any tips? Excellent guide, worked perfectly, however, be very very careful if the screen is cracked and broken as no amount of tape will help. You have to be very careful taken the screen off. Providing you are, and you clean out the bits of glass, and blow out the iPad, then you will be fine. I installed the digitizer. Everything works except the home button. When its pressed nothing happens. Any ideas? Just replaced my broken digitizer glass, and it took a full 4 hours! At least an hour of that was just picking off all the tiny bits of glass remaining around the edges after I had removed the old glass and the LCD panel, and also trying to clean off the old adhesive from the perimeter of the aluminum housing. Had a bit of trouble with the tape on the new plastic bezel, and getting some of the ribbon cables to go back in. Bottom line, get the complete replacement part with new home button and adhesive strips already on it. That will save a ton of time and headache. Also glad I read the comments about disconnecting the battery (surprisingly not mentioned in the guide), and also about “dry fitting” the parts back on and testing them before finally fixing the new glass in place. All in all a great, helpful guide! Why do these instructions never include the reassembly? Tearing it apart is easy (actually not so much with a shattered screen), putting it back together so it actually works is the hard part. Wasn’t sure I had all the cables reinserted properly, but luckily everything seems to be working fine. I did not isolate the battery, but its taken me two months to knock this out and the battery was completely empty. I ordered the digitizer glass with the home button and camera bracket attached. It’s definitely worth the extra money for the time savings and simplicity. Amazing parts. Poor instructions, especially that there is no reassembly. Reassembly is not as simple as reversing the process of disassembly. The toolkit is average. I would not call the tools “professional” grade in any way, but they get the job done. small sections of shattered glass will kill the spudger. I had to use a razor knife after both ends of the spudger were no longer usable about 30% of the way through. Tape glass with high quality tape and have a vacuum on hand for regular cleanups. I would say the first time you do this it is difficult. Plastic cover on the rear of the digitizer that needs to be removed. make sure when testing the digitiser that you test both halves! i “tested” mine before putting the case back together, but only the right side of the digitiser is working. i presume only one of the cables is in fully. will now have to wait for more adhesive strips before pulling it apart again.